Thank you everyone who came to our Tiny Forest Talk last weekend for Nadiah Hamzah’s “Stories Through Film”. We had so much fun! Watch this space for more exciting activities! Thank you everyone who came and joined our macramé plant hanger workshop with Hanisah from Condiment Strings last Saturday! We had so much fun learning how to make something so intricate and beautiful! Come join us for our future workshops! See you soon! Come join us & filmmaker Nadiah Hamzah in our very first filmmaking talk / workshop. She will be sharing her experience and provide a thorough introduction to filmmaking, allowing our participants to learn a great amount in a very short time. Covering the basic elements of filmmaking — from story development, screenwriting and directing the scene. Here’s what you can expect from your tiny Saturday film school on the 16th February! SEATS LIMITED TO 15 PAX! Join us, sign up now by emailing us tinyforestsj@gmail.com or fill up the form below! It’s mom and kids/grandaprents and kids terrarium fun time with Mrs. Anum! 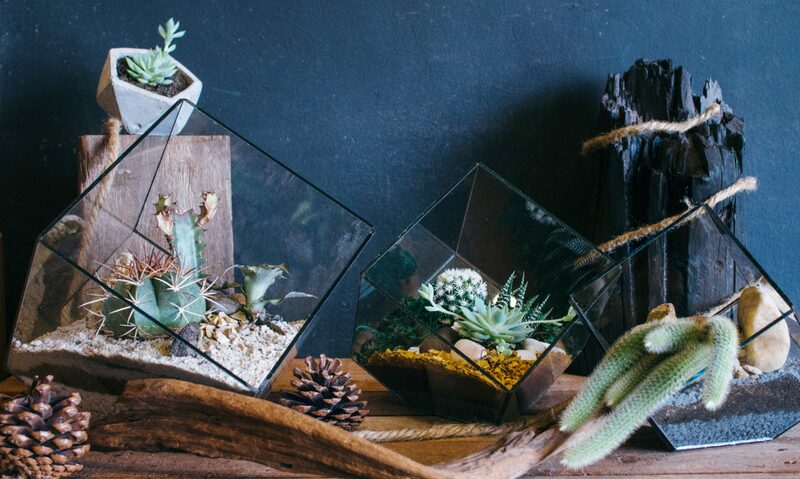 Make an appointment with us for you and your kids to learn how to create a colorful terrarium – together! 1 for you, and 1 for your little one. It’s a fun family activity that will develop a child’s creativity and love for nature! Simple step by step guide and we also let your kids choose their choice of succulent, cactus, a figurine, and sand colour too! Limited seats to 6 pax per session. Sign Up for Macramé Plant Hanger Workshop this Saturday 2 February 2019! Special offer : Get your friends to join and get RM15 discount! In this empowering class, Hanisah from Condiment Strings will demonstrate a handful of her favorite knotting techniques and show you how to get started on your plant hanger. You will design and create your own macramé plant hanger with Hanisah’s expert guidance and support. Never fear if you think you are lacking in creativity, Macramé is a wonderful craft for expressing a vision you never knew you had while practicing mindfulness and meditation. We provide all the materials you need to complete your unique piece of art. We will have more for sale to make your piece uniquely yours. All levels welcome. Thank you everyone who came to Adil Halim’s “Enhancing Life through Drumming” talk last Saturday! It was an insightful and fun morning talk! Each participants went back with a goodie bag and best question contest winner won a Adil’s signature drumstick from Heartbeats drums! See you all at our next monthly talk in February! Come join our first ever Tiny Talks! Join Adil Halim, who plays the drums for Malaysia’s alternative rock band Seven Collar T-shirt, songstress Yuna, and also No Noise Percussion. Perfect for those who are thinking about learning how to play drums, those who are already performing on stage, or those who just want to hang out and talk about music! 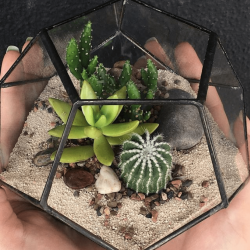 Come join our capsule terrarium workshop! We are opening 10 slots this weekend from 11am – 6.30pm on Saturday and Sunday for an hour! We will help you build your own capsule terrarium step by step for our January offer price RM100 (original price RM150)! Book your private workshop now! Groups of 5 persons are welcomed. Hello people! We will be joining the Dojo KL X MissMafia Presents: REAL TALK this Saturday, 7th of July! APRIL 1st : TINY FOREST POP-UP MARKET! We’re having an April POP-UP MARKET at our store this weekend on the 1st of April from 12pm-7pm! Come by and enjoy shopping from different vendors, and make some terrariums too! Tell your friends, and see you there!